STA. MAGDALENA, Sorsogon—Mayor Alejandro Gamos officially reassumed office by virtue of the decision of the Office of the Ombudsman after he was intially forced to vacate it by the same office. Gamos confirmed to BICOL STANDARD in an exclusive interview that the Department of Interior and Local Government (DILG) was able to successfully implement the decision of the Ombudsman dated March 10, 2015 this afternoon. The reinstated mayor, who expressed elation over this development, is also hoping for a peaceful transition of power as he returns to his daily functions on Monday. Gamos vowed to make the most out of the limited time he has. From his constituents, he also appealed for support, which he said is necessary so that much can still be achieved before his term ends in 2016. His reinstatement ensued after the Ombudsman reversed itself on Motion for Reconsideration. The Ombudsman dismissed the administrative charge due to lack of jurisdiction. It reasoned that Gamos was no longer mayor when the case was instituted. Consequently, it falls beyond the ambit of the body's administrative jurisdiction. Earlier, the same body meted the penalty of dismissal upon Gamos in relation to Administrative Case No. OMB-L-A-10-0007-A for Dishonesty and Grave Misconduct. 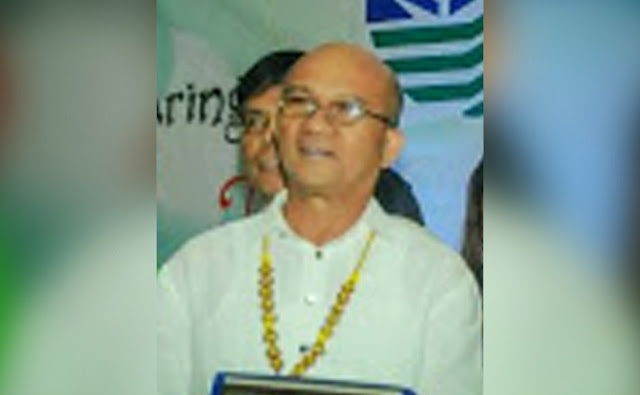 Said case was filed by now deceased former mayor Amadeo Gallanosa who accused Gamos of irregularities in cash advances and disbursement of funds—BICOLSTANDARD.COM. Pirming enot. Pirming bago.